NMA has released its marketing services guide 2011, after giving us a first peek earlier this year. 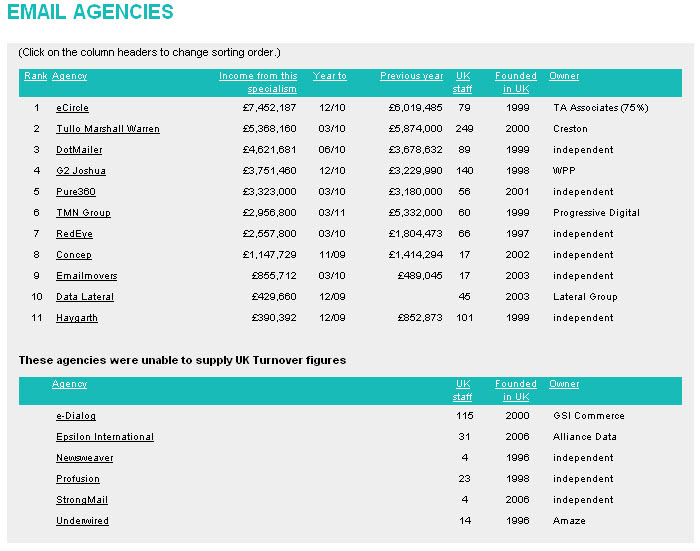 Listing a number of UK digital and email marketing agencies by turnover (highest turnover gets highest ranking). We talked about the likes and dislikes of this method before. As expected, the much of the report speaks of a recovery across the whole industry, but we also see decline when comparing with the turnover of last year. Anna Richardson, editor of the guide tells us: “Also at the forefront of everyone’s agenda is the growing momentum of social media. 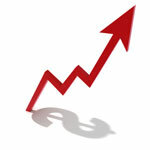 Over the past year, many agencies have made senior-level appointments in this area, underlining the move towards sustained investment rather than mere lip service. Interesting to see is that a part of the top ten email marketing agencies ranked by turnover is growing their income through email marketing activities, while some show decline in their email related turnover. What that means? As the email sector shows growth in both budget spending and numbers of email sent, it seems to be a shift turnover; into other agency activities and sometimes between agencies.